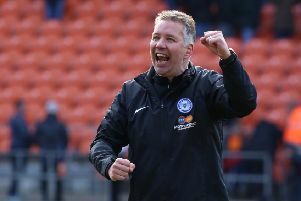 Chris Forrester is the new Posh captain. Photo: Joe Dent/theposh.com. Chris Forrester will skipper Peterborough United in the 2016-17 season. The 23-year-old Irish midfielder has only been at Posh for 10 months, but new Posh boss Grant McCann insists he has made a sound choice. Forrester was a proud man to be handed the captain’s armband. He said: “It’s a new challenge and one that I am relishing. Right-back Michael Smith will be vice-captain.